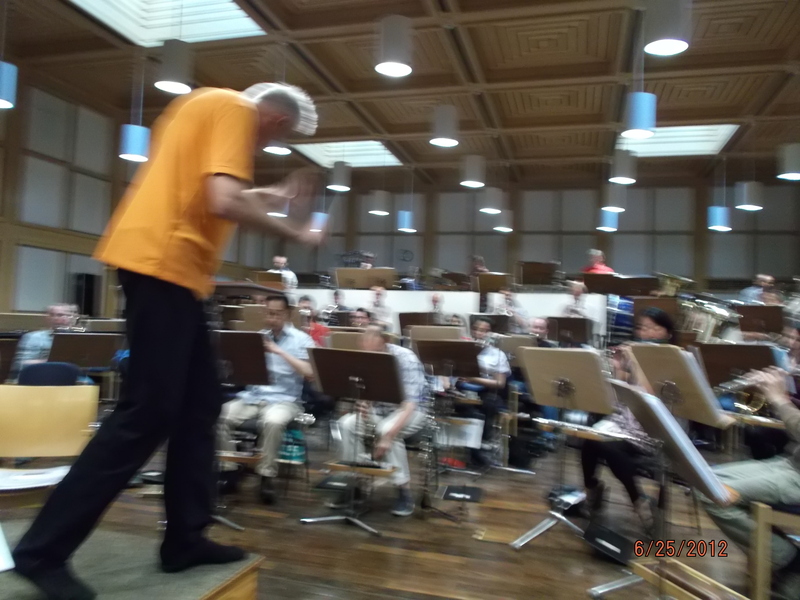 Kelly Thomas and I were driven to Munich and back today so we could rehearse with the Munich Police Wind Orchestra (Polizeiorchester Bayern) conducted by Johann Mosenbichler. 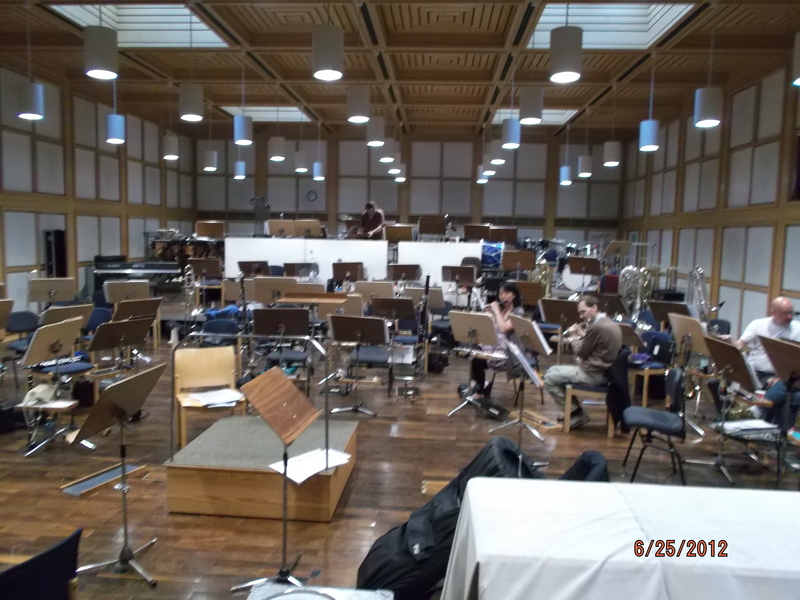 It is housed in the police center in Munich and covers all of Bavaria. 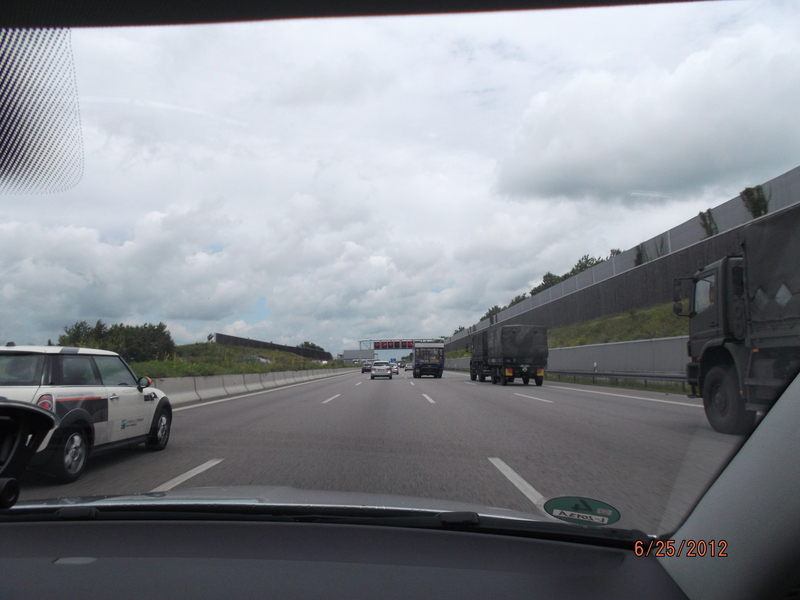 The drive took around 3 hours each way although we were approaching speeds in excess of 170km on the German autobahn so the return trip was faster! 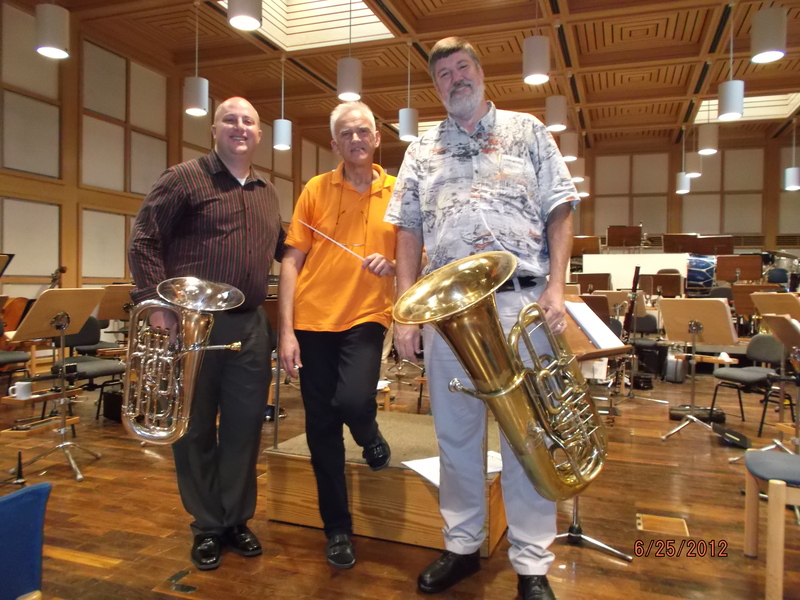 The wind orchestra was a delight to work with and we had a very successful rehearsal. We will meet again at 12 noon on Tuesday for a final dress rehearsal in preparation for the concert at 2 PM. 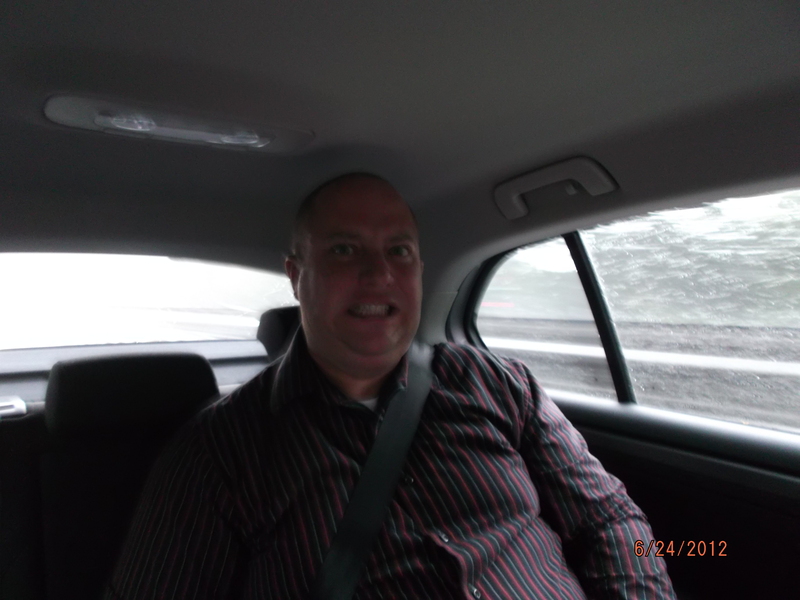 Kelly in the car to Munich – not enough sleep! 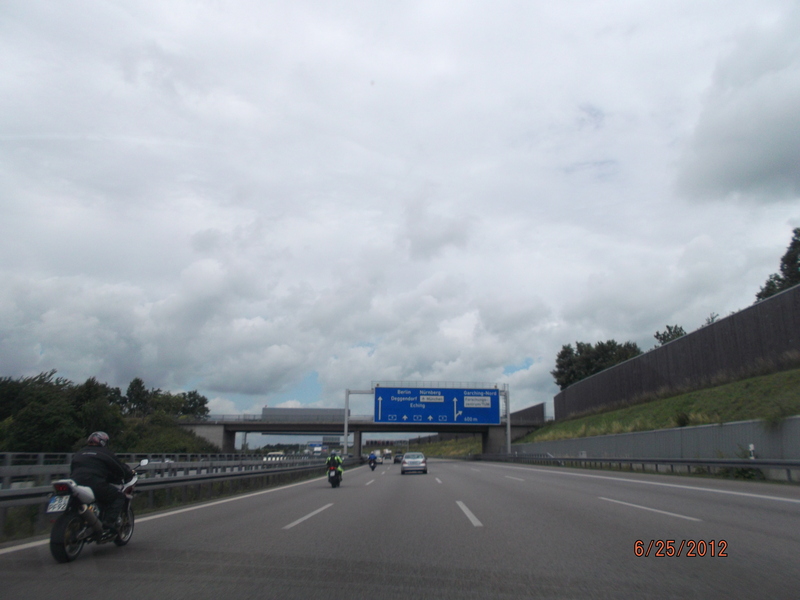 The road back to Linz – rained hard on the way but the sun came out on the way back! German road signs. 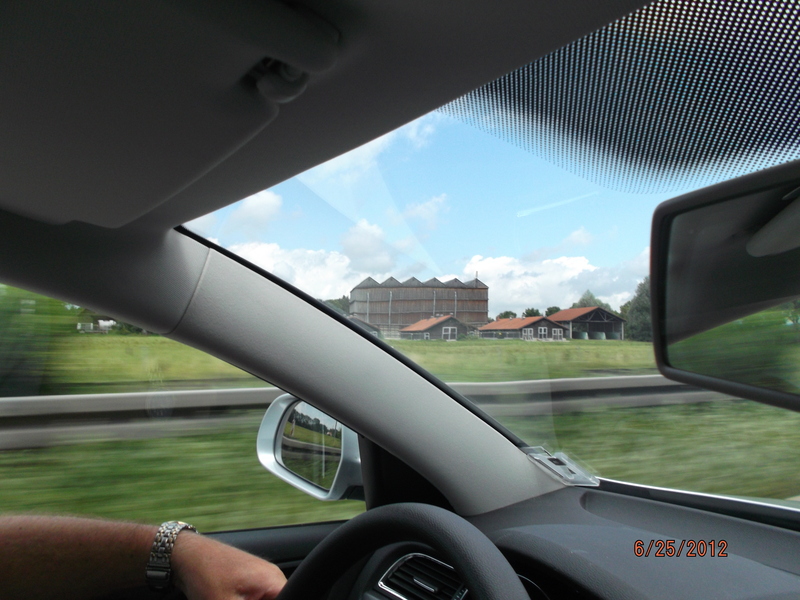 The autobahn had no speed limit for cars. You know you are REALLY moving along when the speedometer is past 170 km!! 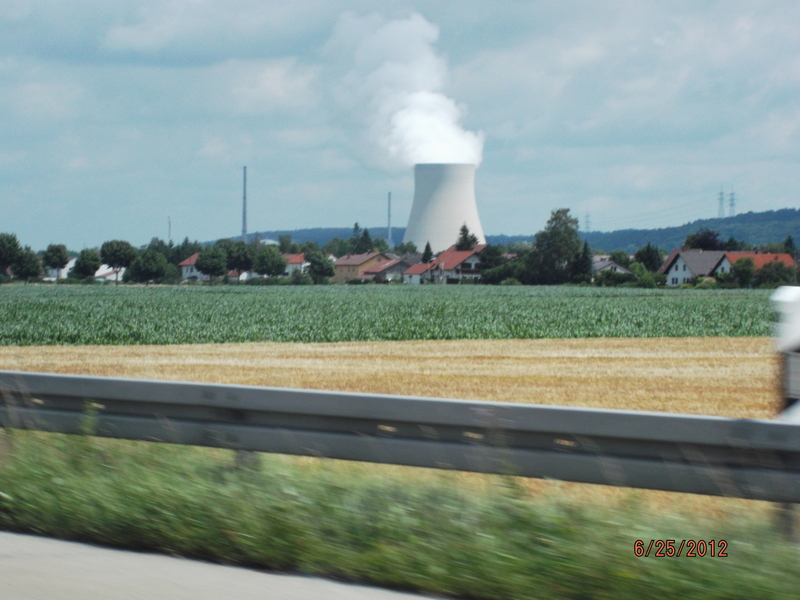 We passed a German nuclear power plant. None are allowed in Austria. 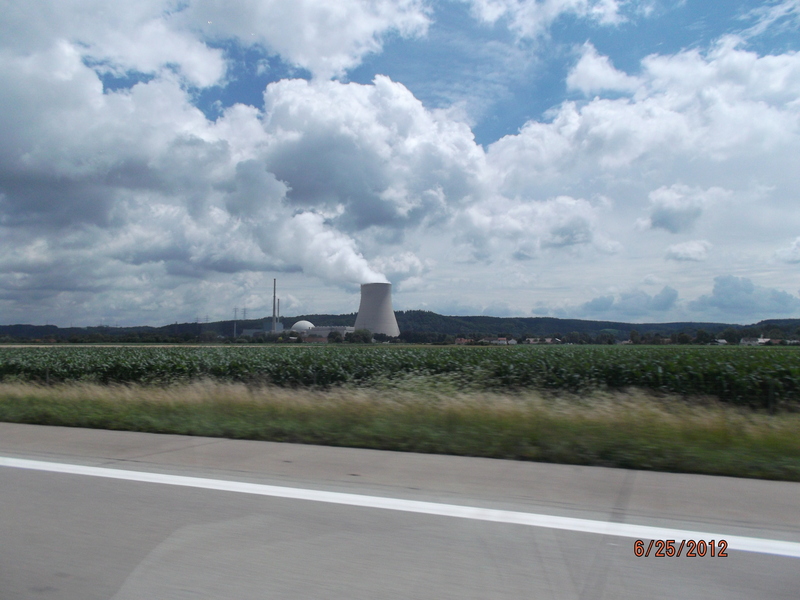 Another view of the nuclear power plant.